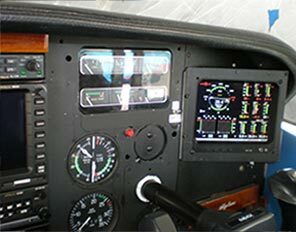 Garmin 430/530(W) to the EDM and FS-450. Garmin 430/530(WAAS) pin # 56(tx) goes to EDM’s pin # 2(rx) or FS-450’s pin# 9(rx). Garmin 430/530(WAAS) pin# 57(rx) to the EDM’s pin# 1(tx) or the FS-450 pin# 6(tx). 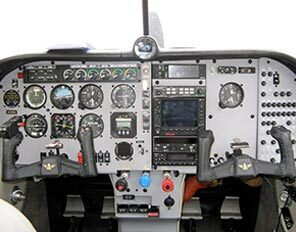 #1) Garmin program to: RS-232 Input Shadin FF and RS-232 Output Aviation Data formant. Since this Garmin input is now Shadin FF, then on both the EDM and FS-450 you must choose GPS-C=1. (Waypoint) You can not use GPS-C= 6 or 7. If you did you would get a ‘No RS-232 Data’ message on the Garmin. 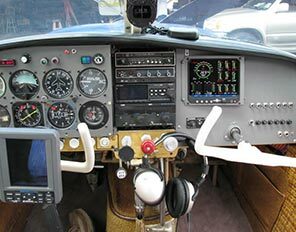 #2) If you program the Garmin Input to Shadin FADC, (same Output –Aviation) then you will need to program the EDM and FS-450 to GPS-C= 6(waypoint) or 7 (destination). You can not use GPS-C=1 anymore. If you did you would get the ‘No RS-232 Data’ message on the Garmin. Garmin 480 to an EDM? Garmin 95XL hook up to JPI. Garmin 95XL is a portable GPS. Not designed to receive fuel flow data. 95XL pin #3 brown wire to pin#2(rx) on the EDM or pin# 9(rx) for the FS-450. The 95XL pin # 2 black wire MUST be connected to the same ground as the JPI. Only one wire used. No transmit(tx) connection from JPI to Garmin. Program Garmin to NMEA 183 OUT. V2.0 (4800 baud rate) If the EDM or FS-450 senses NMEA-183 ‘Marine Navigation Data Format’ input, there will be no fuel data output(tx) to the GPS – so no ‘GPS-C’ setting needed for JPI units. The Garmin 96/96C are portable GPS’s. As such are not designed to receive (rx) fuel flow data. Only one wire used to transmit data from the Garmin to the EDM/FS-450. Garmin ‘Data Out’ pin # (see Garmin manual for #) to pin#2(rx) on the EDM or pin# 9(rx) for the FS-450. The Garmin ground – black wire -MUST be connected to the same ground as the JPI. ** Again, only one wire is used. No transmit (tx) connection from JPI to the Garmin. These Garmin’s can supply NMEA output to the fuel totalizer, but do not have a way to display any fuel flow information. Program the Garmin to NMEA 183 OUT. V2.30 (4800 baud rate) If the EDM or FS-450 senses NMEA-183- ‘Marine Navigation Data Format’ – input, there will be no fuel data output(tx) to the GPS – so no ‘GPS-C’ setting needed for JPI units. Lowrance 2000c Airmap GPS hookup to JPI. Lowrance 2000c Data out to pin#2(rx) on the EDM or pin# 9(rx) for the FS-450. **Only one wire used. ** No transmit (tx) connection from JPI to GPS. Program GPS to NMEA 183 OUT. (4800 baud rate) If the EDM or FS-450 senses NMEA-183 ‘Marine Navigation Data Format’ input, there will be no fuel data output (tx) to the GPS – so no ‘GPS-C’ setting needed for JPI units. SkyForce pin# 11(tx) to the EDM’s pin # 2(rx) or FS-450’s pin# 9(rx).The SkyForce sends navigation data output to the EDM or FS-450, but they do not transmit any fuel data to the Skymap. So there is only one wire hookup – SkyForce tx to EDM or FS-450 rx only as above. Both instruments should be grounded at the same point. To program the SkyForce, choose NMEA-183 (Marine Navigation Data Format) Baud rate 4,800. 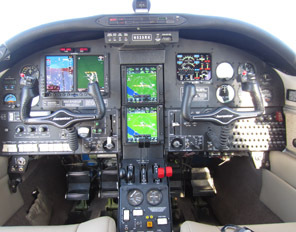 No programming of the EDM or FS-450. When these sense Northstar or NMEA-183 navigation data input, there will be no fuel data output. Skymap pin# 2(tx) to the EDM’s pin # 2(rx) or FS-450’s pin# 9(rx).The Skymap sends navigation data output to the EDM or FS-450, but they do not transmit any fuel data to the Skymap. So there is only one wire hookup – Skymap tx to EDM or FS-450 rx only as above. Both instruments should be grounded at the same point. To program the Skymap, choose NMEA-183 (Marine Navigation Data Format) Baud rate 4,800. No programming of the EDM or FS-450. When these sense Northstar or NMEA-183 navigation data input, there will be no fuel data output. “NO – COM” message and measurements ‘REQ’, ‘RES’, and ‘MPG’ are missing. Communications are received by EDM and the Auto-Protocol setup is in process. Verify correct output format setup in GPS receiver; check GPS connections. ‘NO – SIG’ message and measurements ‘REQ’, RES, and ‘MPG’ are missing. GPS receiver has insufficient signal for valid data. ”NO – WPT’ message and measurements ‘REQ’, ‘RES’ are missing. No waypoints are programmed into the aircraft GPS receiver. ‘— REQ’ or ‘— RES’ message. Your ground track is more than +/- 70 degrees from your course to the next GPS waypoint. Measurements ‘REQ’, ‘RES’, and ‘MPG’ are all missing from the scan. No communications from GPS receiver to EDM. Possibly no connection or aircraft GPS is off. * Try pin #37 — Standard Data Format 9600 Baud — no Fuel page on these Morrow’s. Transmit (TX) #6 only . * No Rec (RX) – No programming needed on the EDM or FS-450. Garmin GPS 400 (WAAS) pin # 56(tx) goes to EDM’s pin # 2(rx) or FS-450’s pin# 9(rx). Garmin GPS 400 (WAAS) pin# 57(rx) to the EDM’s pin# 1(tx) or the FS-450 pin# 6(tx). 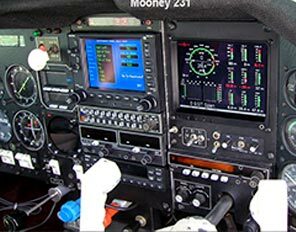 #1) Garmin program to: RS-232 Input Shadin FF and RS-232 Output Aviation Data formant. If you have another port already set to aviation you will need to parallel that port as only one port can be set to aviation output. Since this Garmin input is now Shadin FF, then on both the EDM and FS-450 you must choose GPS-C=1. (Waypoint) You can not use GPS-C= 6 or 7. If you did you would get a ‘No RS-232 Data’ message on the Garmin. 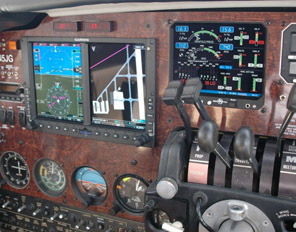 #2) If the Garmin can be programmed for ‘Input’ to Shadin FADC, (same Output –Aviation) then you will need to program the EDM and FS-450 to GPS-C= 6(waypoint) or 7 (destination). You can not use GPS-C=1 anymore. If you did you would get the ‘No RS-232 Data’ message on the Garmin. The Garmin 196/296/396/495/496 are portable GPS’s. As such are not designed to receive (rx) fuel flow data. Garmin ‘Data Out’ pin #1 blue wire to pin# 9(rx) for the FS-450. The Garmin ground – black wire -MUST be connected to the same ground as the JPI. ** Only one wire used. No transmit (tx) connection from JPI to Garmin. Program Garmin to NMEA 183 OUT. V2.30 (4800 baud rate) If the EDM or FS-450 senses NMEA-183 ‘Marine Navigation Data Format’ input, there will be no fuel data output(tx) to the GPS – so no ‘GPS-C’ setting needed for JPI units. Garmin pin #24(tx) goes to EDM’s pin # 2(rx) or FS-450’s pin# 9(rx). Garmin pin# 17(rx) to the EDM’s pin# 1(tx) or the FS-450 pin# 6(tx). What data is transmitted from the EDM to the GPS? The EDM gives fuel REM, fuel USD, and FF. King pin # 6(tx) goes to EDM’s pin # 2(rx) or FS-450’s pin# 9(rx). King pin# 38(rx) to the EDM’s pin# 1(tx) or the FS-450 pin# 6(tx). King pin # 2(tx) goes to EDM’s pin # 2(rx) or FS-450’s pin# 9(rx). King pin# 1(rx) to the EDM’s pin# 1(tx) or the FS-450 pin# 6(tx). King pin # 12(tx) goes to EDM’s pin # 2(rx) or FS-450’s pin# 9(rx). 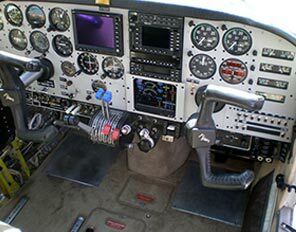 The King sends navigation data output to the EDM or FS-450, but they do not transmit any fuel data to the King. So there is only one wire hookup – King tx to EDM or FS-450 rx only as above. Both instruments should be grounded at the same point. To program the King, choose NMEA-183 (Marine Navigation Data Format) Baud rate 4,800. No programming of the EDM or FS-450 is done. When they sense Northstar or NMEA-183 navigation data input, there will be no fuel data output. King pin #13(tx) goes to EDM’s pin # 2(rx) or FS-450’s pin# 9(rx). King pin# 36(rx) to the EDM’s pin# 1(tx) or the FS-450 pin# 6(tx). Arnav R-21 LORAN pin#3 out to pin#2(rx) on the EDM or pin# 9(rx) for the FS-450. **Only one wire used. ** No Receive(rx) from JPI. Connected to the same ground as the JPI. No programming on JPI. If the EDM or FS-450 senses Northstar or NMEA-183 ‘Marine Navigation Data Format’ input, there will be no fuel data output(tx) to the GPS – so no ‘GPS-C’ setting needed for JPI units. Apollo pin# ? (tx) to the EDM’s pin # 2(rx) or FS-450’s pin# 9(rx).The Apollo sends navigation data output to the EDM or FS-450, but they do not transmit any fuel data to the Apollo. So there is only one wire hookup – Apollo tx to EDM or FS-450 rx only as above. Both instruments should be grounded at the same point. To program the Apollo, choose NMEA-183 (Marine Navigation Data Format) Baud rate 4,800. No programming of the EDM or FS-450. When these sense Northstar or NMEA-183 navigation data input, there will be no fuel data output. Garmin: Input: ‘Shadin FADC’ Output: ‘Aviation’. – EDM: MUST use GPS-C= 6 or 7. If the GPS is sending NMEA-183 (not an aviation format), the EDM-700/760/800 will not send any output. Check that the baud rates are the same between input and output. What do the EDM’s GPS Error messages mean? • NO – COM message and parameters REQ, RES, & MPG are missing., Communications are received by EDM and the Auto-Protocol setup is in process. Verify correct output format setup in GPS receiver; check GPS connections. • NO – SIG message and parameters REQ, RES, & MPG are missing., GPS receiver has insufficient signal for valid data. • NO – WPT message and parameters REQ & RES, are missing., No waypoints are programmed into the aircraft GPS receiver. • – – – REQ or – – – RES message, Your ground track is more than ?70° from your course to the next GPS waypoint. GPS: EDM is not sending out any data. #1) If the GPS is sending NMEA-183 (not an aviation format – Marine Navigation Data Format – 4800 baud), the FS-450 or EDM-700 will sense this and there will be no fuel data output. #2) Check that the baud rates are the same between input and output. How to connect a GX50/55/60/65 Apollo? PROGRAM THE GX FOR FADC. FS-450 OR EDM/700/800/760: GPS-C=6 OR 7. ‘6’ IS TO WAYPOINT ONLY AND ‘7’ TO DESTINATION ONLY. 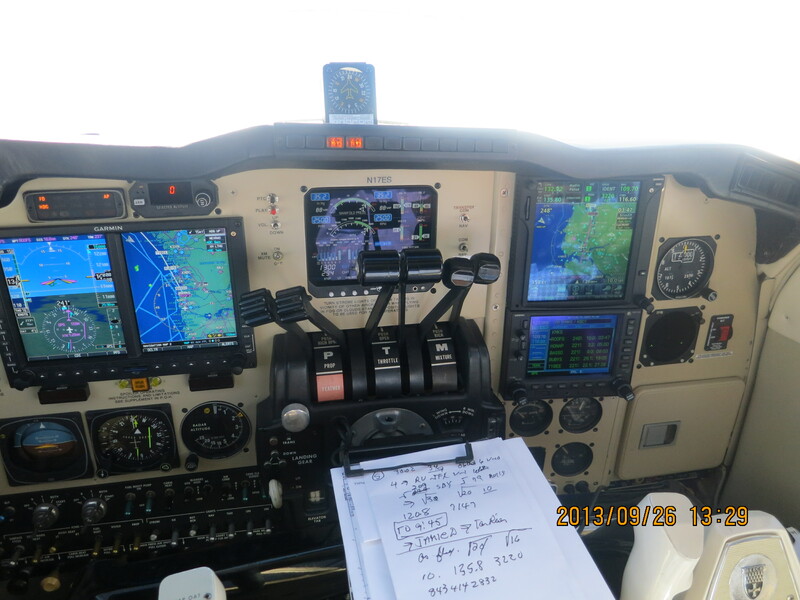 FS-450 and a Garmin GNS 420 reading error. FS-450 FOB equals 40 Liters but the Garmin 420 FOB equals 15 Liters. We believe the GNS 420 misinterprets the 40 transmitted as 1/10th of a Gallon and converts it into Litres E.g. 40 x 0.1 GAL * 3.7 [Litres per GAL] = 15 Litres. Your FS-450 will have to come into the factory for software upgrade. Contact JPI Tech Support at 800-345-4574 to arrange for upgrade. Why does the EDM show “NO SIG” occasionally? This can happen when there is no ground speed being output from the GPS. How do you set the GPS-C Communications Output Format? Trimble TNL2000 GPS to EDM-700/760/800? Using serial port 1: TNL P1 pin 3 to EDM-700/760/800 P3/FF pin 2, no connections to EDM-700/760/800 P3/FF pin 1. Set TNL serial-1 out: R0 (but will work with K0, K1, R0 and R1), 9600, 1 sec update. Using serial port 2: TNL P1 pin 5 to EDM-700/760/800 P2 pin 2, no connections to EDM-700/760/800 P3/FF pin 1. Set TNL serial-2 out: R0 (but will work with K0, K1, R0 and R1), 9600, 1 sec update. Serial port 1 or 2 inputs are not connected to EDM-700/760/800. Northstar M3P RS-232 to JPI EDM? Connect their pin# 6 on the Northstar M3P to RS422 (pin may be called RS-422A or SDA – *also RS-485 OK) to JPI EDM pin 2(rx) on the fuel flow connector or the FS-450’s pin# 9(rx). Northstar pin SDB pin 11 should be left open. 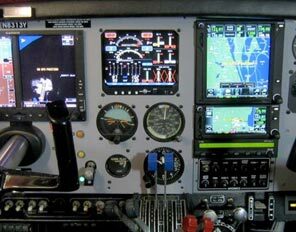 **No programming of the EDM or FS-450 necessary because when these sense Northstar or NMEA-183 navigation data input, there will be no fuel data output. How do you know if the interface between the fuel flow and the GPS is working? If you get REM, RES or MPG messages during scan, it is working. How do I connect a Garmin GPS to JPI EDM? Set EDM-700/760/800 GPS-C=1. Set Garmin to “Shadin fuel flow”. Connect Garmin 195 pin 4 (blue) to EDM-700/760/800 P1 pin 2. How do I program Garmin 155 GPS for use with JPI EDM? Select Aviation Format or Moving Map format from GPS. Arnav 5000 GPS or Loran to EDM-700/760/800 and FS-450? How should I program my EDM-700/760/800 for my GPS? Allied Signal, Bendix/King (KLN , 88 loran, 89 or KLN 90), how to program?